We know you’re hearing a lot about Lightning Experience. You’ve probably seen some awesome demos during our keynotes. Maybe you even created some cool dashboards during the #LightningChallenge. You’re excited about the prospects of Lightning Experience. But still… you haven’t kicked off the migration process yet. Well, we get it: If your company has spent a lot of time customizing Salesforce, it will take some time to get all your teams working in Lightning Experience. But, don’t throw up your hands just yet. First of all, you’re an #AwesomeAdmin, which means you’re no quitter. And secondly, you’ve got to start somewhere! Now is the perfect time to embark on your journey to Lightning Experience. 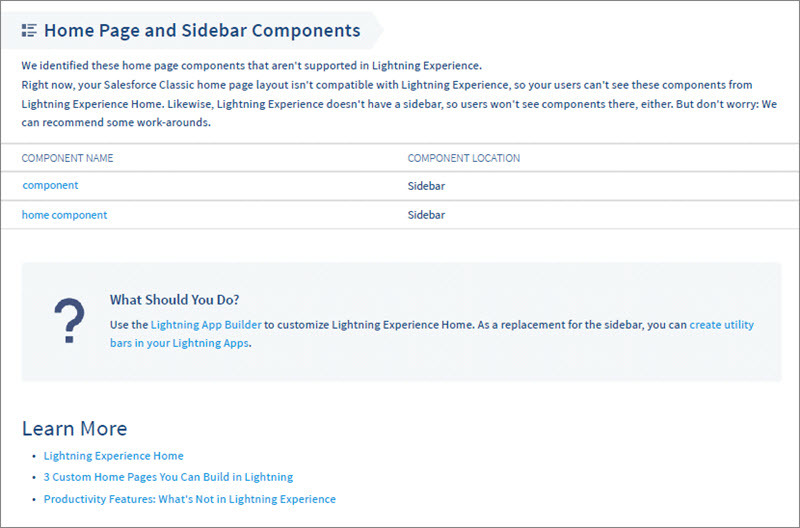 In The 3 Major Phases of Your Lightning Experience Rollout, we recommended starting small: First, preview Lightning Experience in your Salesforce instance to see what the user experience is like. Then, roll out the new interface to a select group of pilot users who are ready. Wondering how to tell which users are ready for which features? Well now we’re gettin’ to the good stuff: we’ve got some migration tools, guidelines–even free consultations with Lightning Experience experts–to help you do just that. Let’s dig in. First, see what it’s going to take to get your Salesforce instance ready for Lightning Experience. The Readiness Check is an awesome tool that scans some of your features and customizations, and emails you a report on your Lightning Experience readiness. The report gives you a better sense of how your tabs, objects, related lists, buttons, AppExchange packages–and a whole lot more–work in Lightning Experience. For a more detailed explanation, see Kick Off the Lightning Experience Readiness Check. 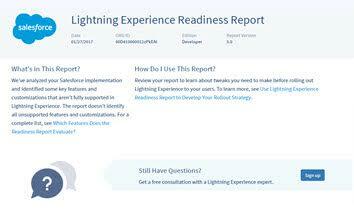 Use the readiness report to identify specific features and customizations that might not work as you expect in Lightning Experience. The report also recommends actions for fixing these items, so you can roll up your sleeves and start making changes right away. In some cases, the report tells you how often your users work with these features and customizations, or when you can expect them to be rolled out to Lightning Experience. After running Readiness Check, we’ll email you details about how you can sign up for a free 30-minute consultation with one of our Lightning Experience experts. All customers are welcome, no matter your readiness level. All you need to attend a consultation is your report and your Lightning curiosity. Because migration is a journey, we encourage you to stop for directions often and early. We’re working to make Readiness Check your #1 hero, but for now, it doesn’t evaluate all of your features and customizations. To see what we do evaluate, check out Availability and Considerations for Lightning Experience Readiness Check. 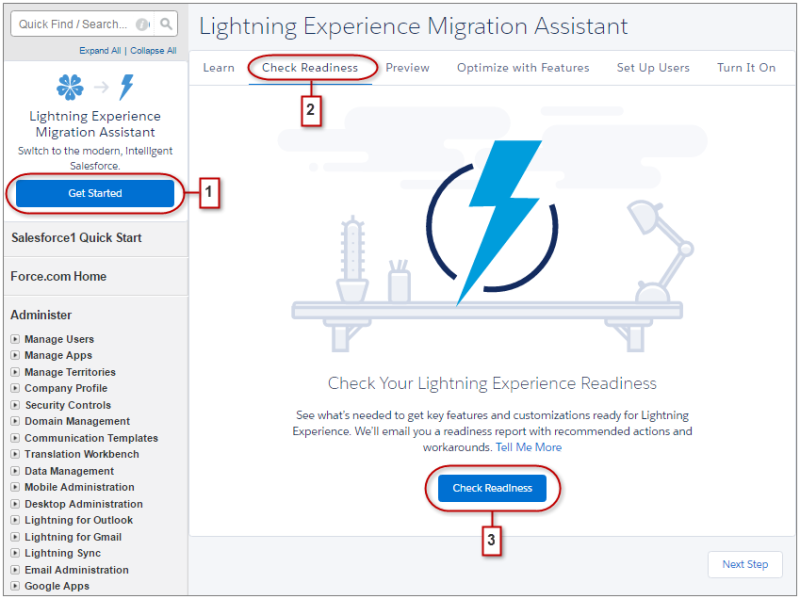 Then, head back to the Migration Assistant and use Lightning Experience Preview to get a first-hand look at those features that Readiness Check doesn’t evaluate. Take note of any features you know your users work with, and how they look in Lightning Experience. We recommend that you roll out Lightning Experience incrementally, starting with either one “Lightning Experience Champion” or a small group of users who are ready to try a pilot of the new interface. 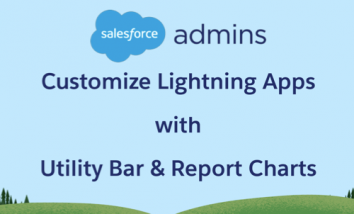 To identify the right users, make note of the features and customizations that the report identifies as the most Lightning-ready. Usage details for each section come in handy here. Next, identify one or more users who work primarily with those features, and roll out Lightning Experience to those users first. To keep track of what’s not working. 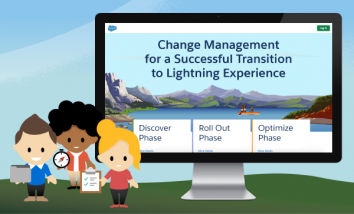 That Saying Hello to Lightning Experience Doesn’t Mean Saying Goodbye to Salesforce Classic. Users can easily switch between interfaces at any time by clicking their profile picture. When the week is up, schedule a meeting to get champion feedback. For more recommendations, see Develop Your Lightning Experience Rollout Strategy. Does Readiness Report call out some features and customizations that no one is using? Get rid of that stuff! Or, if you’re the sentimental type, make note on your list that those features don’t have to hold you back from rolling out Lightning Experience. After making your modifications, run Readiness Check again. We’re updating Readiness Check all the time, so you can always learn more about your Salesforce environment. When you’re done, review your report, engage your champions, and walk through the recommended steps again until you’ve worked through your rollout plan. After a couple of tours, you’ll notice that your champions become Lightning Experience advocates for the rest of the company. When the time comes to roll out the new interface to all of your users, call on your champions to help you offer encouragement and support, and to answer questions. Wherever you are in your Lightning journey, Readiness Check makes you the expert on your Salesforce environment. 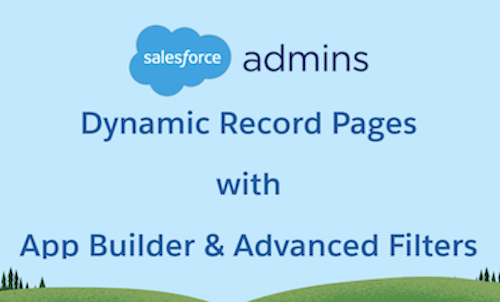 Salesforce Admins are called upon to be experts in all things Salesforce. Now that you have concrete details about where your company stands with Lightning Experience, you can add Lightning Experience readiness to your expertise. Salesforce Senior Technical Writer. 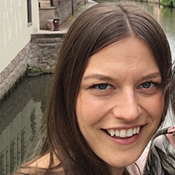 Since joining Salesforce in 2013, you have inspired Meryl to develop the documentation, videos, and user assistance that you need to get your job done.